AnonD-314847, 02 Nov 2014Please Can u guys guide on aircel 3g. Signal reception is full. But, Maximum speed is only... moreI am using aircel for data and getting 3g speed with H+ sighn without issue. but sometimes i feel my data consumption ends earlier than what i used. 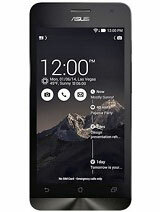 AnonD-279813, 03 Nov 2014Software option is in Settings - where you can factory reset it. 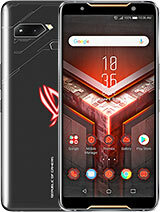 Hardware option is this: ... moreIn my phone power button and volume down combination not worked instead power button and volume up button worked. Why it is different in my phone? AnonD-326993, 03 Nov 2014I am using this phone from last three months and found as issue that this phone is not connect... moreAnybody else have faced this issue? 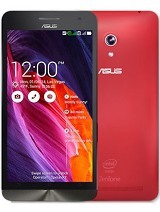 Shankar, 03 Nov 2014I bought two Asus Zenfone 5 phones for me and my wife a month back. Now, the only reason I bo... moreHonestly there are only 2 brands that equip their high end phones with excellent antennas and voice circuitry, and those are Sharp and Nokia (now Microsoft). 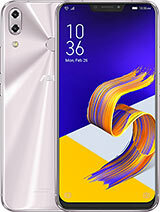 As for battery, while it also depends on how crappy your cellular signal is and what frequency it is using, you will find tons of advices in this thread how to get more on-time with Zenfone 5. I charge mine once every 2 days... well, nights, and at that time there's still 10-30% of the battery left. Running 2.20 KitKat beta build, permission manager, and the rest is basically all default settings. AnonD-316937, 03 Nov 2014Hi tomazz, I am also going to use yur tip.. Will it increases the battery back up, automatic ... moreSoftware option is in Settings - where you can factory reset it. Take your phone and turn it off – just press power button and select “power off”. Wait while your device is shutting down. 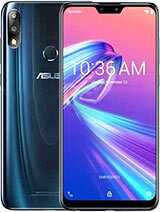 Then, press volume down button and power button together until the Asus logo appears on the screen. When the Asus logo is displayed, let go of the power button, keep pressing the volume down key and then press once more the power button. Once you do that, on your phone the factory reset menu will be displayed. Press power button in order to agree and wait while the hard reset is being completed. Why does my zenfone5 can't update to kitkat? Please help me i already tried to update it manually but it doesn't work.. 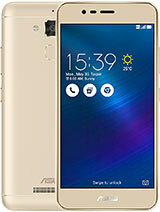 I'm using zenfone 5 from 4 August. At first it was the awesomest phone for me. Now it's giving me one tiny problem i.e sound of speaker is very very low. I've compared the same with my 3 other friends who have the same model. I bought two Asus Zenfone 5 phones for me and my wife a month back. Now, the only reason I bought it was the previous phones (HTC Rhyme and Samsung galaxy S2 +) were not giving enough battery life. I was also tired of spending big money every 15 months on a new phone and a sub 10K phone that looked hefty on features and looks seemed like music. We use the phones only for business and basic features.. so 3-4 hours of calling, occasional SMS and data download and even rarer pictures. Neither of us game or watch movies etc. on the phone. One big attraction was Asus claiming better antenna and reception. Honestly the difference between these new phones and the older ones was hardly perceptible. On an aside, it does amaze me that amongst all these smartphone wars.. enough attention is not paid to better antenna reception and call quality... much less talking about it as differentiators. My motivation for writing is that this disappoints big time on battery. On one phone the battery is average... meaning 7 hours or thereabouts This btw did not have the latest android auto-downloaded... so I don't know if this is the reason for 'better' battery. On mine, the battery is atrocious. I have no apps downloaded. In fact I uninstalled even preloaded apps like facebook and amazon kindle and turned bluetooth off and wifi on only when needed. Still, I get less than 3-4 hours on very moderate usage. I am appalled. Anyone has any suggestions. Do they accept returns? My other grouse is smaller, given the gravity of my battery problem. This is the really unprofessional UI. 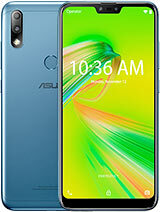 Now, all reviews raved about the Asus UI and customization features. I have not not bothered exploring it and I don't need it. BUT... in a number of screens there are English grammar, sentence construction and spelling mistakes. I am not holding a candle for the English language, but this really reeks of low attention to quality and seems cheap. Also, things that you take for granted in Samsung and HTC UI are missing. Chief problem is with the 'autocorrect' of spelling. Now, Samsung and HTC picked words that were in your Contact lists etc. and automatically added them to your dictionary or something.. in any case.. here you keep typing and then realize the words have changed into something really silly.. so instead of helping, I am constantly checking after every word to make sure the 'smart' correct has not messed it up. I am amazed none of the 'professional reviews' picked these UI blips up so that I would have made an better informed decision before purchase. I am also going to use yur tip.. Will it increases the battery back up, automatic restarting and system apps are not responding problems... and how to wipe the mobile after update??!! my Phone showing notification for kitkat update, kitkat is good or not? guys can i update it? 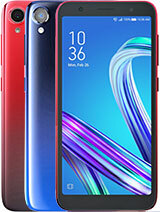 i am using this phone for the past 3 months.good phone at the price of Rs10000 if u have the patience to turn off(by long pressing the power button) and restart the phone 10 to 20 times a day because the phone suddenly gets locked and screen becomes unresponsive to touch. phone highly unstable while browsing after kitkat update. AnonD-322648, 03 Nov 2014Regarding how to update : I have a big confusion in my mind regarding updates.... Lets say... moreThere are 1.14, 1.15, 1.16, 1.17, 1.18, 1.18 KitKat preparation, 2.19, 2.19 battery fix... the 2.20 are not released yet. If updating via OTA you should get ALL of the updates in the order above. However the Asus OTA system is broken and only installs last OTA update, which does NOT include the fixes of the previous OTA updates. So what to do if OTA just screwed you and you can not downgrade without rooting? Well, you wait for the next release, and do NOT do OTA update. 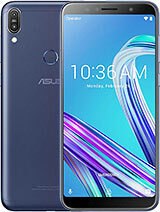 Instead wait for a few more days for the full update (700-800 MB) to be loaded to the Asus support site, and download that one, unzip it, and copy that file manually to the root of the internal memory in the phone via USB cable, and when receiving notification of new update, make sure you're loading the full file from the internal memory and install it. It's also a good idea to wipe the phone clean after update. This will clear any errors in software that were caused by skipped updates, and you're on stable system again, after which you can do OTA updates again. As for Asus service centres... from what I've read in this thread, they seem to be hopeless. Marj, 03 Nov 2014Same problemI don't think you should have to do this but if you wish to try, do a full factory restore from recovery partition. Then reload the software. If that does not fix it, then it's a hardware issue, and Asus should either fix it or give you a new one. Bob , 02 Nov 2014When will I get the 4.4 kitkat update for the zenfone 5 TOOj WW version? ?You can already get it now, if you want to, just go through this thread for the links. But do you really want it now? As many said before - load a full version, do not do OTA update unless you like to torture yourself. Anonymous, 02 Nov 2014Are there any major defects with zenfone 5(bought it the first day without updating and so on..)?Yes, the sensor buttons are not illuminated. Not sure you'd call it defect. And even if Asus says that's what it's designed like, I still think that was opposite of clever idea.